Show off your love of reading with this Fiction Fangirl 4 button 4 pack. Features a Keep Calm and Read Books and a Harry Potter inspired lightning bolt. Your reading ability is off the chain and there isn't a book you can put down. Make reading cool in your circle of friends with this 4 pack of Fiction Fangirl button set. Perfect for book clubs. 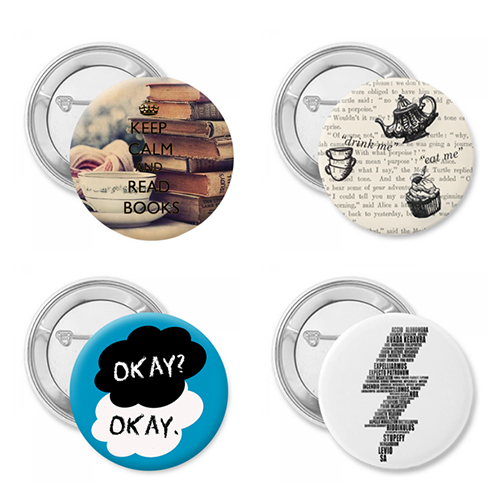 These buttons come with a pin backing and show off your love of reading. Set the trend, choose your size and order today!